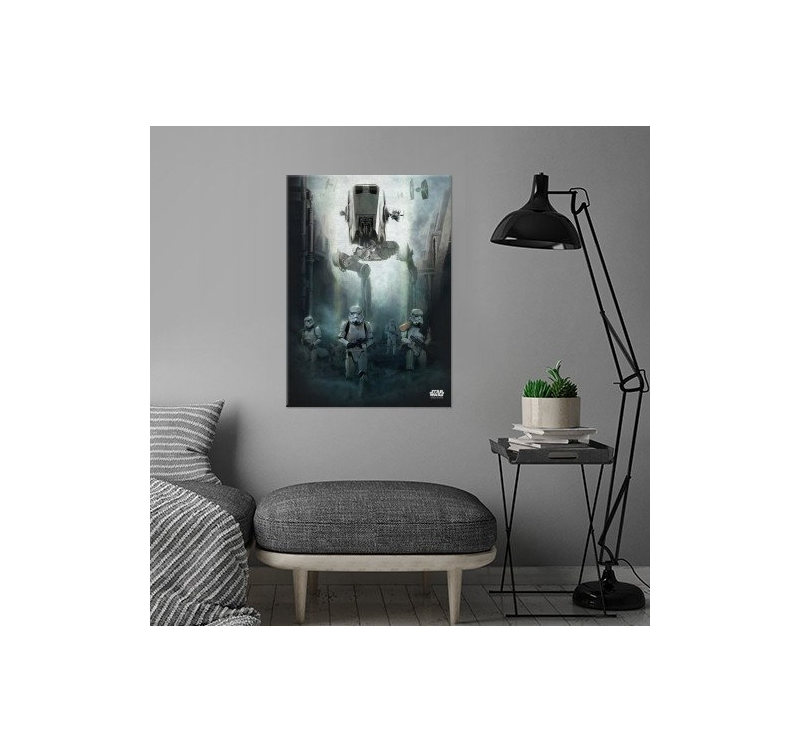 If you are a fan of the Empire’s technology, this metal poster is for you ! 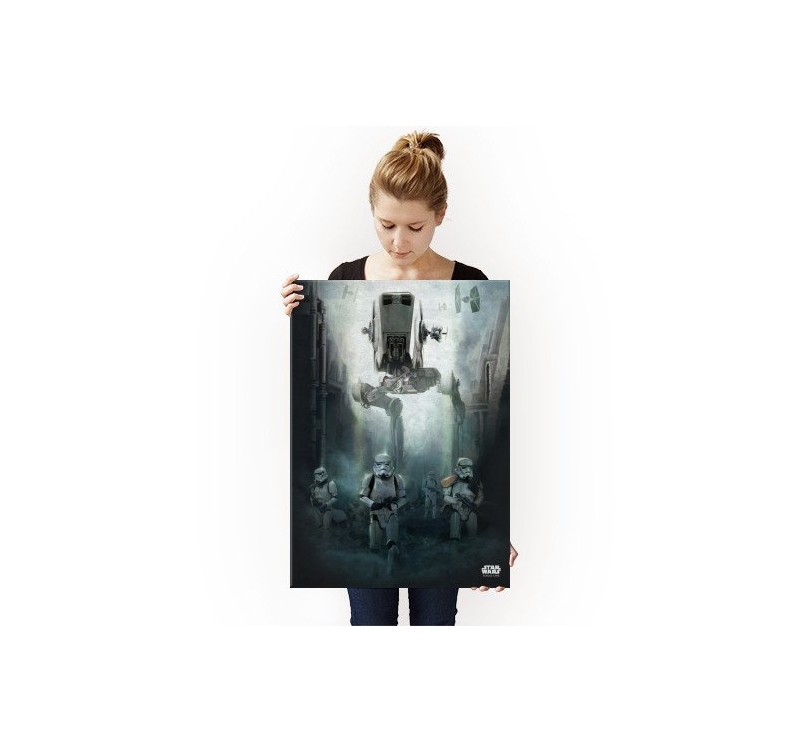 This wall poster of the AT-ST is delivered with its hanging system. 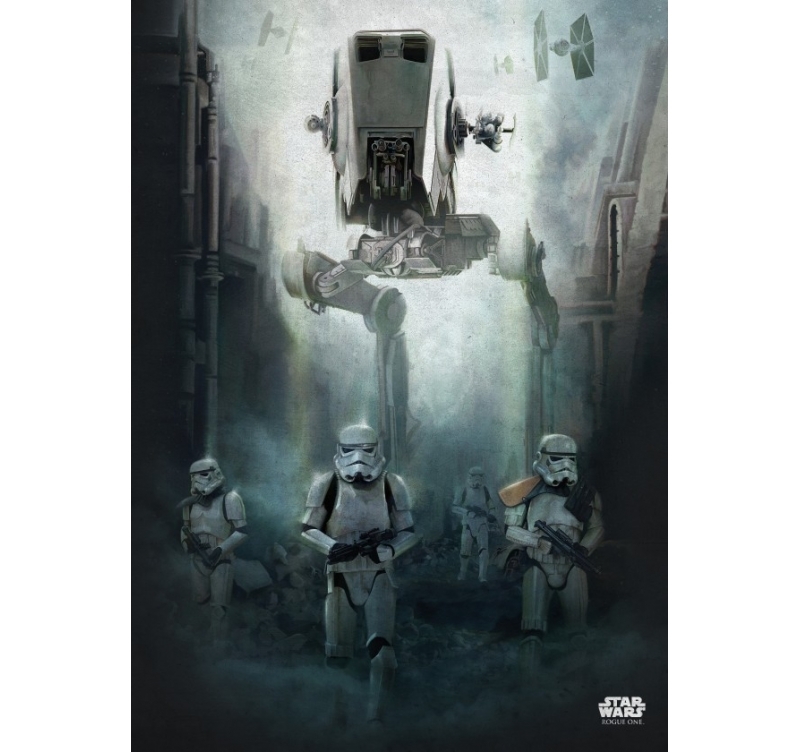 The Star Wars metal poster showing the famous AT-ST will easily find its place in your collection, beside Storm Troopers helmets or Darth Vedor metal posters. 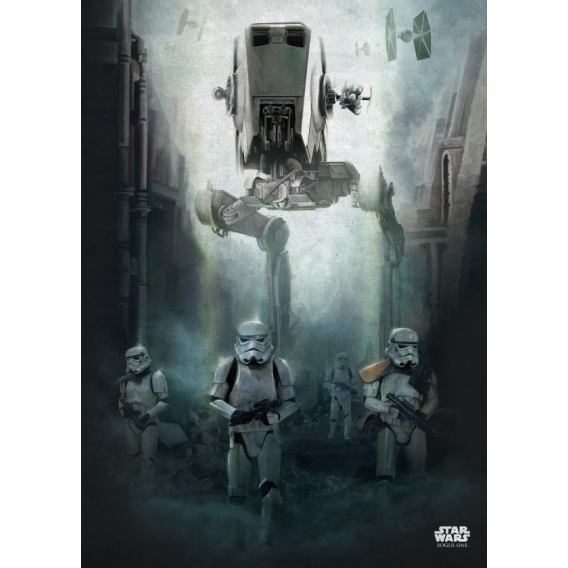 The Empire’s weaponry captivates many fans particularly this All Terrain Scout Transport. Our artist shows it in full action supporting three Storm Troopers. 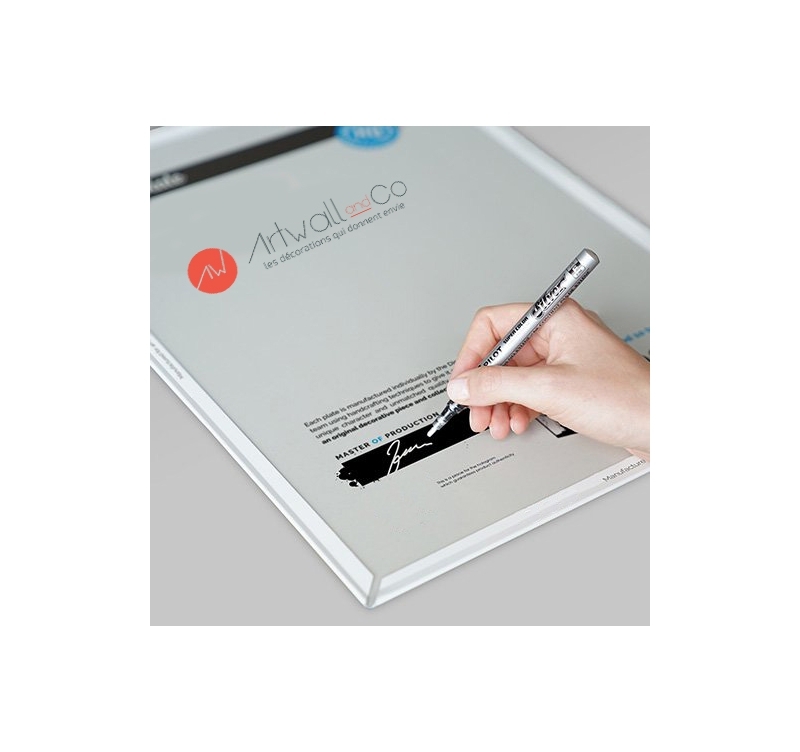 To guarantee the authenticity and the value of your collection of Star Wars metal posters, each holds a hologram sticker and our production manager’s signature. 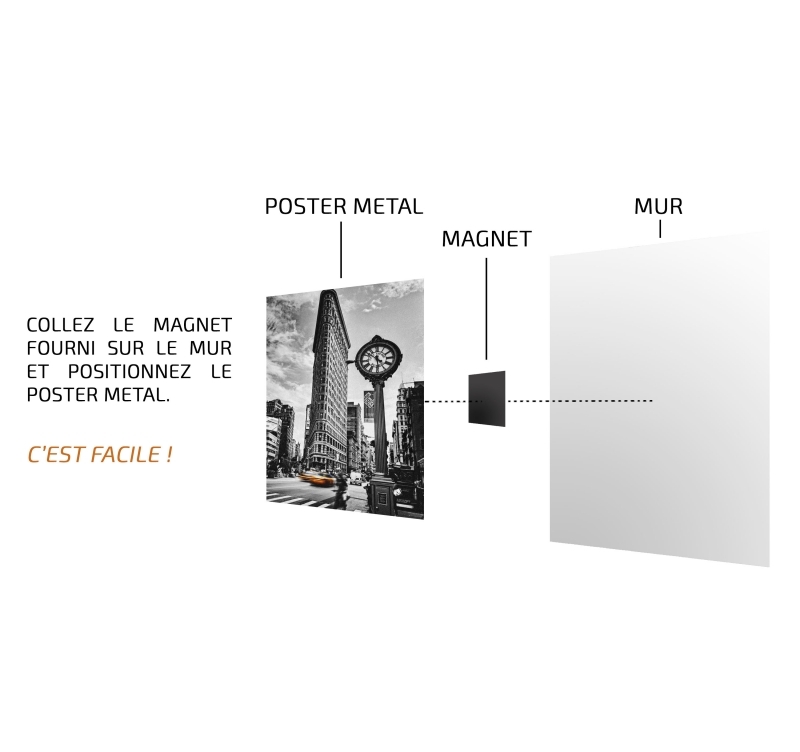 Hanging up our deco metal posters is made very easy with a self-sticking magnet delivered with the metal poster.